Land, art, culture, landscapes. Vines, wine, taste, emotions. Discover the great crus in Piedmont. Live the wine, the vineyard, the art, the landscape. Meet the people of this extraordinary land. For over twenty years, the great house of Michele Chiarlo has been open to all those who love wine. 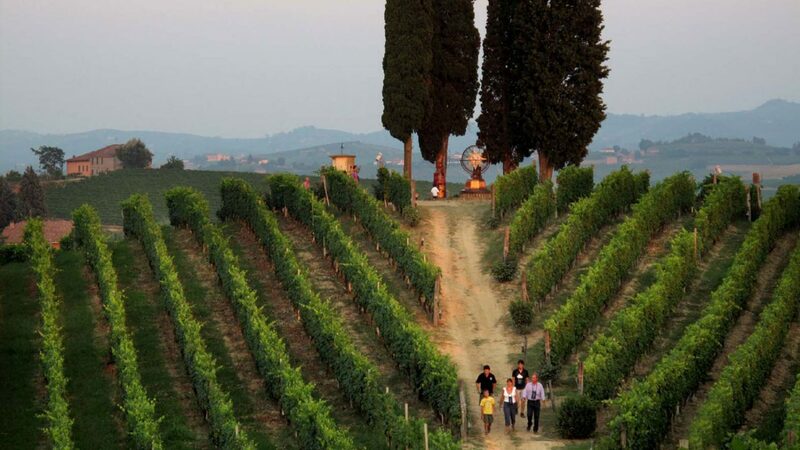 The wineries in Calamandrana, l’Art Park La Court, Palás Cerequio, the vineyards of Langhe and Monferrato, the great crus: this is the extraordinary world and spectacular setting in which we want to welcome you and show your our history. The solidity of the land, the images of the landscape, the scents of the seasons and the climate. The best way to know our wines and appreciate them is to come here, to Monferrato and Langhe, which is their home. 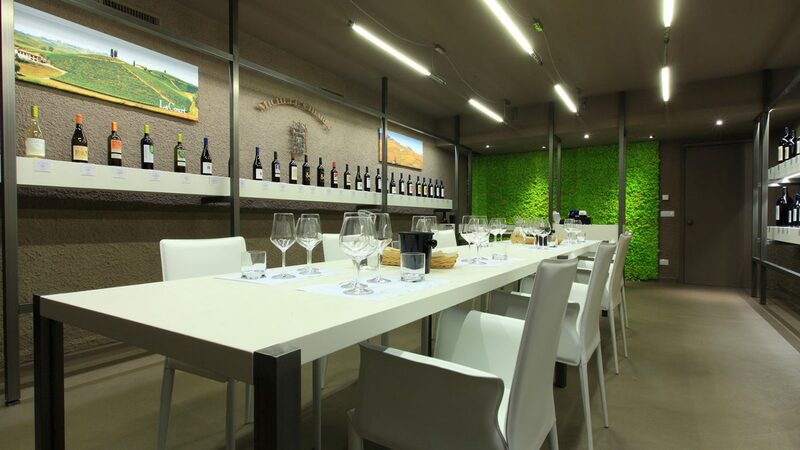 The Classic Tour includes a visit to the wineries in Calamandrana, in Monferrato. An itinerary which leads to the disovery of how the wines of Michele Chiarlo are created, from the techniques used in vinification to the refinement and bottling rooms. a faithful expression of the finest characteristics of Gavi with its fresh and elegant aromas and the scent of citrus and white flowers. the Barbera d’Asti ‘par excellence’, expresses red fruits, sapidity and elegance. One of the most popular wines by the glass in Italian restaurants around the world. the aromatic notes are highly balanced, the rounded taste and finish which is never too sweet have made it famous in restaurants all over the world. 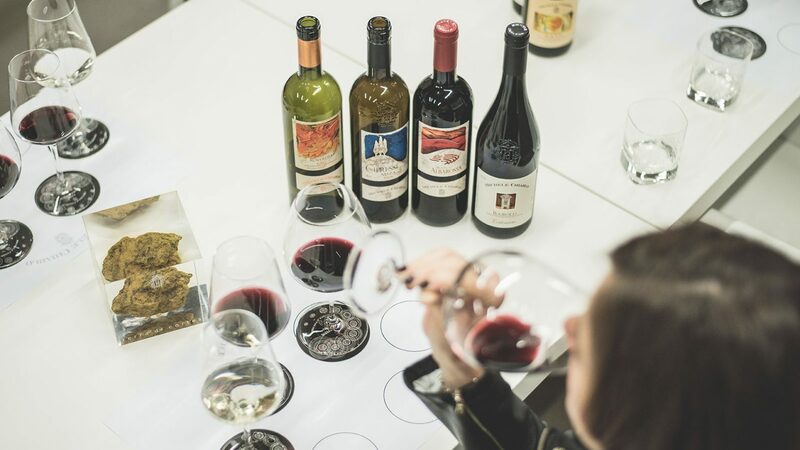 The Premium Tour invites visitors to discover the heart of Michele Chiarlo wine production, differentiating the differences between wine varieties, zones of production and the terroir. A comprehensive and unique overview of Piedmont: from tradition to innovation, from the hills of Gavi to those of Barbera, from the freshness of Moscato d’Asti to the elegance and power of Barolo. 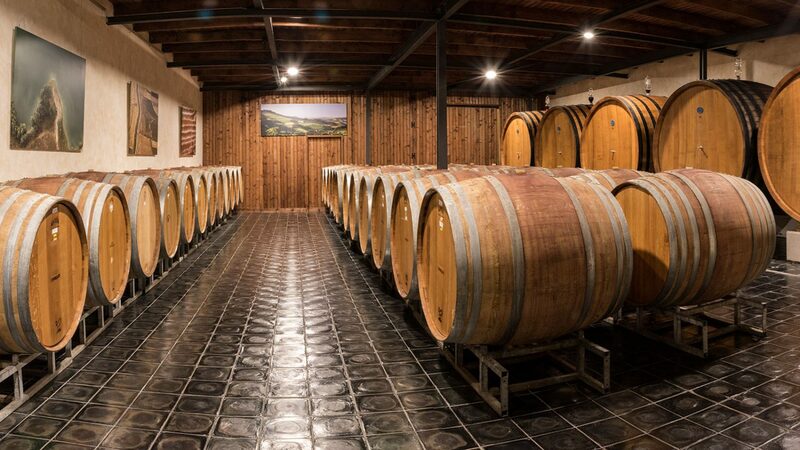 The visit includes entry to the art exhibition which we host in our winery. created to express the quintessence of Barbera: elegance and freshness, but with structure and character. what began as an experimental grape variety is now a Piedmont classic to be rediscovered. A complex and elegant wine, with charming spices and harmonic flavour and a fresh, pleasing finish. a great classic Barolo, refined only in large casks. Balsamic notes which combine with the classic spiciness of tradition Barolos. the aromatic notes are highly balanced, the rounded taste and a finish which is never too sweet. The Vineyards Tour is a unique, immersive and captivating experience. 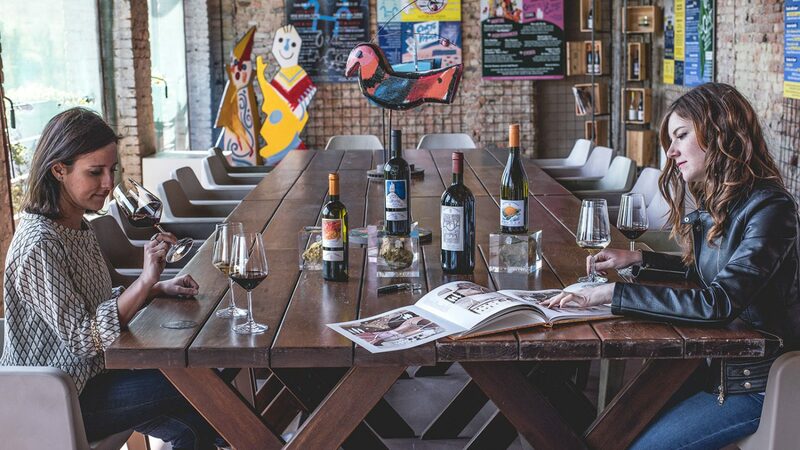 It allows you to enjoy both the Basic and Premium wine tastings in the magnificent setting of the Art Park La Court. The evocative landscape, recognised as a UNESCO heritage site, and the rich rows of Barbera grapes make this an unforgettable experience. The world of Michele Chiarlo is in a constant state of evolution, full of recommendations and taste. The Custom Tour includes the Premium Tourwith one significant difference: you have the complete freedom to decide which wines to taste, choosing them from the incredible «archive» of Michele Chiarlo, which holds over half a century of vintages. Express your passions by creating a personal tasting!